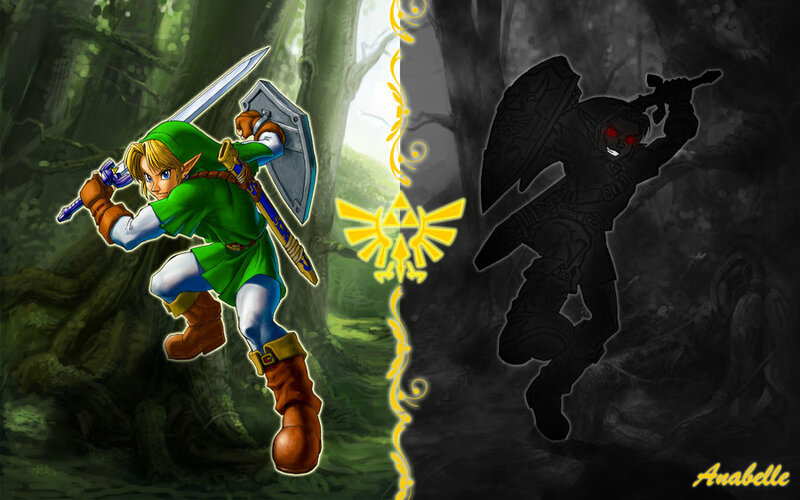 Link: Legendary Hero or Eternal Menace? With every hero there will always be a villain, it’s just the way it goes, but sometimes, not everything is as black and white as they seem, sometimes there really is two sides to the story and as far as the video game series The Legend of Zelda is concerned, the internet isn’t short when it comes to speculation that the big bad Gerudo Ganondorf isn’t the villain we think he is, so what’s one more dose of speculation. For the purpose of this piece, let’s pretend we know nothing about the Zelda series and look at the facts. On one hand, you often have this young lad, who is characteristically lazy and how he got as far in life as he did before his quest started, it’s outstandingly shocking and let’s not forget the blond hair and blue eyes, qualities Hitler dubbed to belong to those of the superior race. I’m not saying Link is a Nazi, but he and Zelda both share those qualities. Now he does one act of bravery and everyone starts to believe in him, believing him to be a Hero according to Lore and pretty much gets everyone’s faith like that (finger snap). And what about the girls, he merely has to show them his stern “I never say a proper word” look and the girls swoon. There’s no doubt about it, Link is clearly the cool kid, the jock we all went to school with, who everyone worshiped. Now let’s take a look at Ganondorf, every incarnation has a face only a mother could love, only Ganondorf doesn’t know his mother, because as we learn from Ocarina of Time, he was raised from the ol’ hailfire Witch Sisters, of the Gerudo race, who for some strange reason, only give birth to a male once every 100 years (how the hell do those desert feminists make the babies, I don’t know.) But his pig ugliness doesn’t just stop there, because he can actually turn into a pig that is even more grotesquely ugly and then there is his laugh and fashion sense, in every game, he does seem to border on the camp side, which isn’t that surprising, growing up in a desert with only women for company, he was either going to be a ladies man or the gay best friend that all the Gerudo’s gave make-overs to (and before we move on, seriously what is up with the women Gerudo’s dress sense? You live in a desert, where desert storms happen often, why are you scantily dressed with such long hair, the sand is going to go everywhere, surely they know that? Unless they like the sand going everywhere, because it’s not like Ganondorf is showing them any attention, he’s too obsessed with capturing Zelda so he can get a little face to face time with Link). But clearly, Ganondorf was the kid in the playground that everyone ganged up on, what with being ginger, possibly brain damaged hence all the groaning, or he’s just a tennis player in his spare time, (he’s been spending time with Mario again hasn’t he?) and coming from what one can only describe as a broken home meets harem, where all of Hyrule’s wealthiest playboys spend all their time, enjoy the delights of the Gerudo’s oasis before returning back to their lesser attractive partners. Of course Ganondorf wants power, to be the top dog, to him power is the love he never received, I wouldn’t be surprised if Zelda used to be his friend in pre-school, or you know, he’s hang out bud whenever her dad, the King chose to visit his little piece on the side. They probably spent entire years running round, making sand angels on the floor laughing, before she met him, Link, the boy everyone loved. I bet the years that followed were unkind, Ganondorf began to see less and less of his once close friend, a classic tale that has happened to many of us when one of our life-long friends get noticed by one of the in crowd. Plus in every Zelda game, Ganondorf always tries his hardest to achieve his goal, to create a world where the Gerudo’s can have more men, and that Gingers are equal, or you know, superior to blondes, whereas Link just half-asses everything from the get go, but because he has the Master sword, he is destined to succeed anyway. Of course all of this is just wild speculation on my part and Link is of course the true hero in the series, but it never hurts to question fact, some of the very best stories come from such an act, just don’t take everything for face value and maybe, just maybe when you’re playing a Zelda title, you could let Ganondorf win, just once. He totally deserved everything he’s got coming to him, so I’m game to whack Wind Waker HD into my Wii U and teach him a lesson or two, And then again in Skyward and Hyrule Warriors. You’re going down Ganondorf, till next time vg fans. Wind Waker was the only instance where Ganon was anything more than “because evil lol.” That game actually gave him something of a relatable motivation, even if his actions were evil.